Tool Steel is a manufacturing term generally used to refer to steel that is hardened, most commonly through a heat treating process. 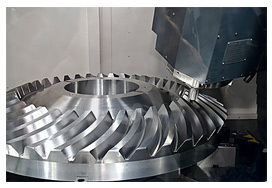 A more specific description of Tool Steel would be steels (carbon and alloy) that display the characteristics beneficial for use in tools (most commonly referencing tools used in fabrication and production). The characteristics desired in Tool Steel include increased hardness, abrasion resistance, retention of cutting edge and resistance to deforming at high temperatures. Short Run Pro receives requests for quoting on Tool Steel parts on a regular basis. If you have a Tool Steel requirement let us know and we will get you a custom quote on production. Note that since Tool Steel is a special order material, quotes on parts made from Tool Steel tend to take longer to process. Contact Short Run Pro for your Tool Steel requirements.